Brian Patel knows how to use a sword when it comes to self-defense. The New Bedford, Massachusetts, convenience store clerk reached for his weapon when a would-be robber pulled a knife on him Tuesday. The assailant probably thought he had the upper hand with an eight-inch blade. But Patel wasn't ruffled; he knew his three-foot-long sword would scare the man. And scare it did, as the knife-wielder ran away. But is Patel going to be in trouble for using a sword to thwart an attempted store robbery? Happily for any small business owner who's ever been held up, the answer is probably not. Patel is protected by the laws of self-defense. Assault with a weapon is generally a crime, but people who act in self-defense are protected from prosecution. The only catch is that your actions actually have to be in self-defense. Self-defense is limited to the amount of force needed to repel a threat to your physical safety. Deadly force can be met with deadly force, but it can't be use to counter non-deadly force. Deadly force is also generally not allowed when only property or goods are being threatened. The other part of the equation is that, outside your home, self-defense has to end when the threat ends. So if Patel had chased the would-be robber with his sword, that wouldn't necessarily have been covered by self-defense. But he only brandished the weapon until the man left, reports Boston's WHDH-TV. No one got hurt, this time at least. But even if Patel had struck first, he would still be legally covered. While the threat continues, you can do what's necessary to stop it. In some cases, that means the assailant ends up in worse shape than the victim, especially if, like Patel, the victim is armed. That's apparently what happened last year during another robbery attempt during Patel's shift at the store. That time, Patel couldn't get to his sword, so he punched the guy in the face instead, according to The Boston Globe. In that case, the robber also had a knife and stabbed Patel. That makes Patel's punch pretty clearly within self-defense. It's worth noting that this doctrine also applies if you're defending someone else. 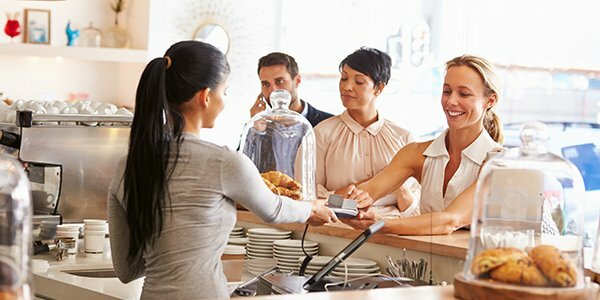 If your customers are being threatened, you have the right to use appropriate force to defend them as well. Maybe now would-be robbers will stop trying to rob Patel. It doesn't seem to be a good plan.